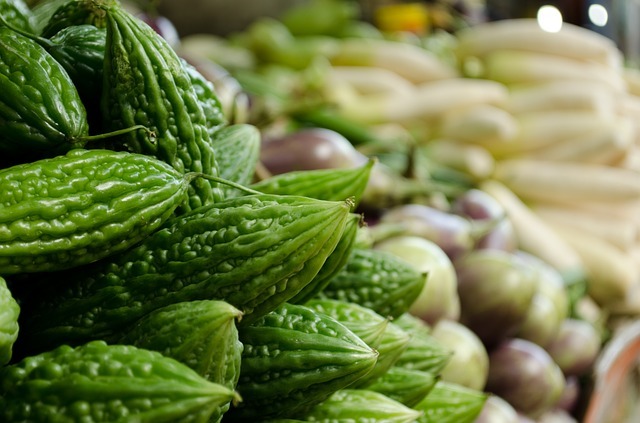 Bitter gourd, also known as balsam pear and bitter melon in some parts of the country, is one of the commonest vegetables grown in Southeast Asia. It is known for its strong bitter taste and amazing medicinal properties. It is, naturally, a dietary staple in most parts of this region of the continent, and is eaten in a variety of forms. In most regions, it is eaten at the beginning of the meal in order to aid in the digestive process, but it also consumed by itself, thanks to its highly beneficial blood purification properties. There should ideally be no contention regarding its inclusion in a pregnant woman’s diet, but as it turns out, there is a fair amount of discussion regarding this matter. In this article, let us see whether bitter gourd can be eaten during pregnancy, and if yes, how and how much. That, of course, is a staple of the pregnancy diet. It doesn’t matter what the item is, you cannot overdo it. The same holds true for the bitter melon as well; there are certain properties in the vegetable that might make it dangerous for the woman to consume too much of it. Eating a lot of bitter gourd has been linked to causing uterine bleeding and other symptoms that are harmful to a pregnancy. As mentioned before, immoderate consumption of bitter gourd can cause uterine bleeding, which is a menstrual symptom. This can lead to a miscarriage, effectively starting menstruation ad terminating the pregnancy. In the later stages of fetal development, it can lead to preterm births, causing the woman to go into early labor. Besides, bitter gourd also contains some alkaline compounds such as Saponic Glycosides, resins, Morodicine, and quinine. All of these can lead to toxicity in the body. Bitter gourd can also cause diarrhea and stomach ache when too much of it is eaten, and some people are also sensitive to the seeds. While these can affect anybody at any point in their lives, the pregnant woman should be especially careful since the immune system is weaker at pregnancy and is easily affected. So why should you eat it? Well, despite some ill effects, bitter gourd is naturally one of the most potent medicines you will find occurring naturally. And, if you look carefully, all these effects happen only when you eat too much of it, which is frankly true of anything, no matter how beneficial. So without further ado, let us look at the good bitter gourd do for the pregnant woman. Bitter gourd contains very high amounts of folic acid, one of the most important nutrients needed by the fetus to develop. Folic acid helps in the spinal and neurological development of the baby, ensuring that the nervous system is well developed and minimizing risks of the baby developing spina bifida and other defects of the spinal cord. Bitter gourds are highly potent sources of dietary fiber, which makes them the ideal food for the pregnant woman. During pregnancy, all women face problems with digestion, which can lead to problems like constipation and hemorrhoids. Bitter gourds, with their high fiber content, helps in softening stool and making bowel movements more regular and smoother. Ingesting too much of the seeds, however, can cause toxicity and diarrhea. Apart from folic acid, bitter gourds are also full of a variety of other nutrients that can help both the mother and the baby during pregnancy. Bitter gourds are rich sources of potassium, zinc, iron, magnesium, manganese, niacin, pantothenic acid, and pyridoxine. All of these are extremely beneficial for the mother and the baby. These nutrients help in overall healthy growth of the baby’s organs, bones, and muscle, prevent birth defects, and help in maintaining the water-salt balance in the mother. Also read: Can I eat Eggplant (Brinjal) during pregnancy? There can be many ways of eating biter gourd. You can slice them up and deep fry them, and consume them before a meal, or you can boil them and eat with the first few spoonfuls of rice. The highly bitter taste does not make room for mixing it with other vegetables and making a standalone curry, but you can certainly mix little bits of it in thick lentil gravy for an interesting twist to your side dish. If you think the seeds might be upsetting your digestion, scoop them out. The skin of the bitter gourd should not be peeled as it has vital nutrients. Most importantly, consult your doctor or dietitian to make sure that you can safely eat bitter gourds, and determine the daily recommended limit. 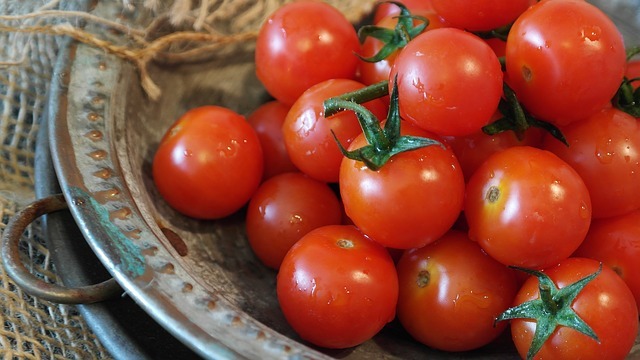 Can I eat tomatoes during pregnancy?